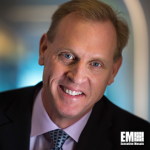 Deputy Defense Secretary Patrick Shanahan has said that the Defense Department focused on the execution of the National Defense Strategy in March, DoD News reported Thursday. Shanahan told the audience at an event hosted by the Center for a New American Security that his first execution priority is to move forward with military readiness efforts to help ensure that DoD officials are spending money properly. The second execution priority is to address risks facing programs of record to complete projects ahead of schedule and within budget, Shanahan added. He noted that the third and most important execution priority is to accelerate modernization. DoD officials are also working to reform the department’s business processes and research and development strategy, Shanahan said. The department is taking a “rip off and deploy” approach, which involves the adoption of concepts that already exist in the private sector.